Israel is known for many things around the world. Hummus, falafel and the Israeli pastime of Shesh-Besh (backgammon) are just a small smattering of what has become the flavors of the Land of Israel. However, what is most profound about a country founded only 66 years ago, is how Israel has become an international startup superpower. Israel has over 4,800 startups and 250 R&D centers, with over 50 percent of the Israeli high-tech work force working in R&D. Big name companies like Microsoft and Cisco opened their first international R&D centers right here in Israel. Dubbed the “Startup Nation,” Israel’s main export for the past number of years has been its technology, with one start up company after another in Israel being bought out in multi-million dollar contracts by international investment groups or companies. Waze, a navigation app created in Israel, was bought by Google in 2013 for $1.1 billion. Viber, which utilizes voice-over IP technology and was developed in Israel, was recently bought by a Japanese communications firm for $900 million. Isaac Hassan, founder of the Pico-Jerusalem work-share center, located in the Talpiyot industrial neighbourhood of Jerusalem, explained to Breaking Israel News the technicalities behind startups and the various venture capital opportunities that exist in Jerusalem. “We here at Pico not only provide shared work spaces which lead to a cross-pollination of ideas and companies, but we actively support local startups, businesses, artists and even brewers,” he said, as we sipped from our Shapira beer, one of the finest and more popular local breweries in Jerusalem always on tap at the office. David Stark, an investment associate from Our Crowd, an equity based crowd-funding platform in Israel, attributes part of the uniqueness of Israel’s success in the field of technology and sustainable startups to the melting pot that is Israel. Stark didn’t chalk the entire success of Israeli startups to immigration alone, as many countries have large immigrant populations but not nearly the same technological advancements. “You also need Chutzpah, and the courage to utilize the ‘take the plunge against all odds mentality’. This we have lots of in Israel. Due to the security situation we all realize how short life can be, and how important it is to utilize the time we have,” he added. 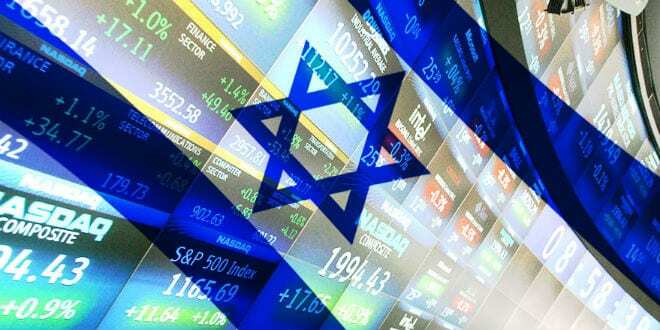 Israel straddles three major markets: Europe, Asia and Africa. Coupled with the small domestic market in Israel, Israeli entrepreneurs must start thinking and planning globally from day one. The close proximity of the major technological centers of Israel all being only a few hours drive from each other at most, allow investors and entrepreneurs to meet more often and regularly face to face, and this helps jump start companies much faster. For example, former R&D officers of the Israeli Air Force, who have years of experience developing flight simulators, put their knowledge to everyday use to help doctors save more lives. Founders of the Surgical Theater’s Surgical Rehearsal Platform, the former IAF officers developed a technology that allows doctors to take a patient’s own CT or MRI results and build a 3D model on which a surgical team can virtually “practice” the needed operation, thereby improving efficiency and reducing the risk significantly of surgical error. Other startups in Israel have made remarkable technological advances such as glasses that tell a blind person what he is seeing (Orcam), cars that can drive and assess dangers automatically in order to avoid accidents (Mobileye), mechanical legs that can help paralyzed individuals walk again (ReWalk), helping make the desert bloom through a revolutionary irrigation system (Netafim), and saving lives through immediate mass communication during emergency situations (eVigilo). “Then the eyes of the blind shall be opened, and the ears of the deaf unstopped.” (Isaiah 35:5). The Jaffa Orange company, which ships citrus fruits grown in the Israel’s desert region, faced with constant water shortages, all over the world, highlights the blossoming blessings bestowed by God upon the Land of Israel. The second prophecy, gifting the blind the miracle of sight, is no better exemplified by than by Orcam. “Everyone in Israel knows that it is all in God’s hands anyway, and we need to trust our partner so that we can take risks. There is no better partner to trust in,” he said.